Welcome back, TJS supporters! 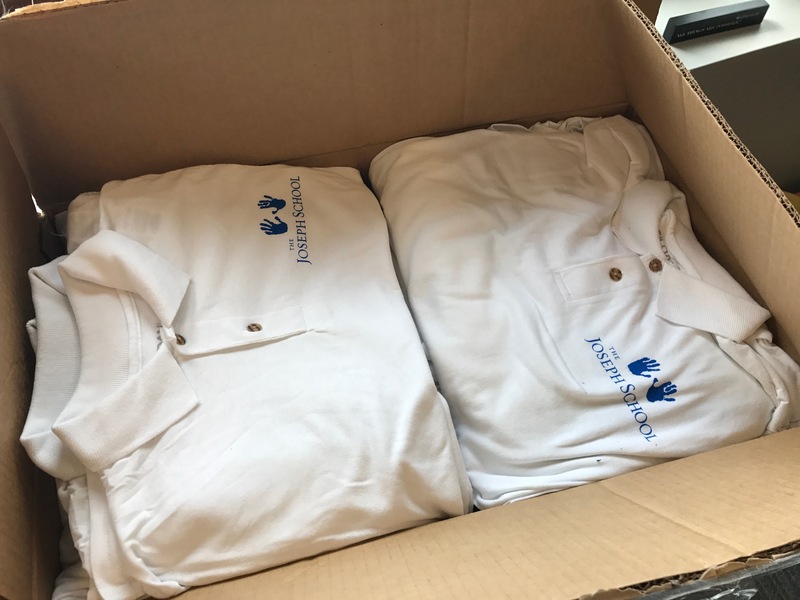 As the school year comes to a close, we are celebrating some exciting news on the horizon: student uniforms are now being made IN Haiti! As you may know, in the last three years, we have purchased uniforms here in the United States. While we appreciated the American services, we wanted to do something more to help our friends in Haiti. NOW, thanks to the pilot sewing program (sponsored by Nashville’s own Immanuel Baptist Church! ), we are having the uniforms sewn in Haiti! Not only will this switch provide much-needed jobs to families in Haiti, but it will also decrease production and distribution difficulties as we grow from 90 to 120 students, and plan to continue to expand every year. 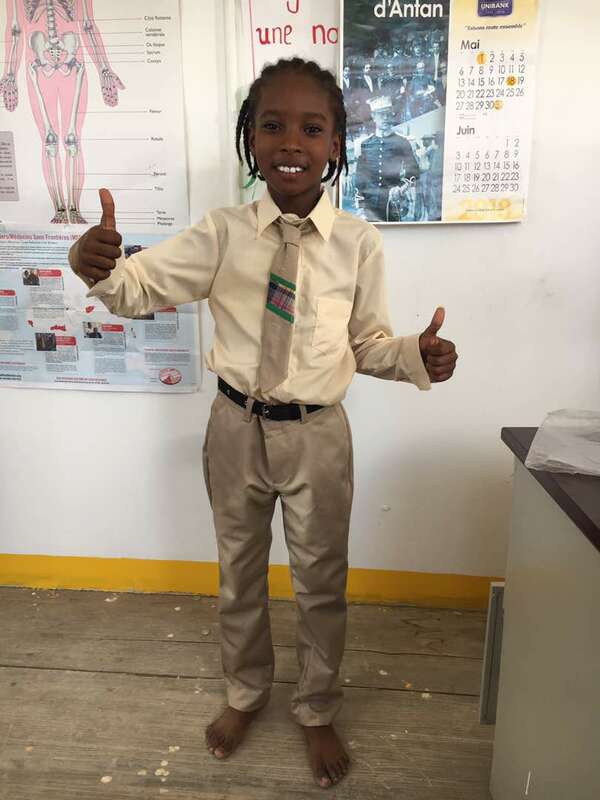 Uniforms are $100 pers students and include: two shirts, two pants/shorts/skirts, shoes (still purchased in US) and Socks. This change is more than a mere location switch: it is a Transition that is going to serve as the grounds for the Transformation of lives. The photo to your left features John Kerry, rising 4th grader, modeling the first draft of the Haitian-made uniforms! 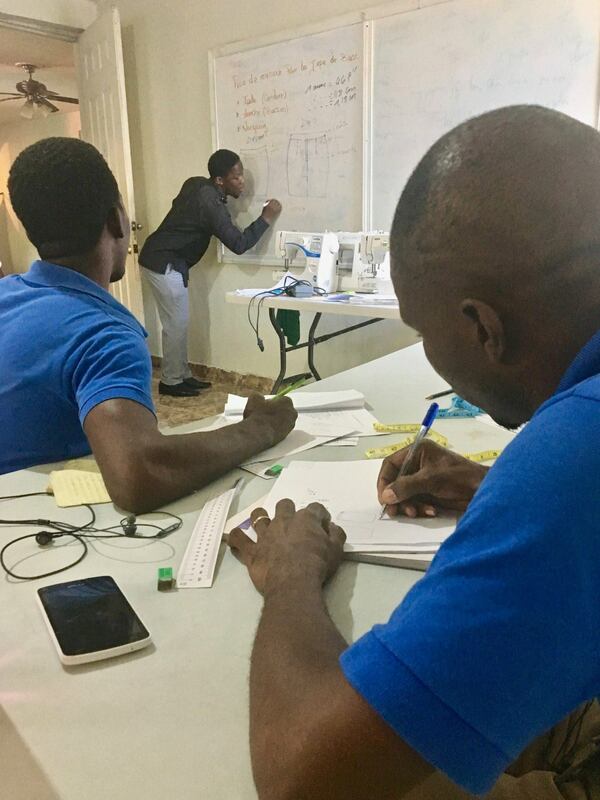 And check out the behind-the-scenes look of our hardworking Haitian friends to the right, as they carefully take measurements and calculate the correct dimensions for the uniforms. We are blessed with an incredible team and are so excited to watch this program kick off! We also want to extend a special thanks to TJS Board member, Natalie Inman, for providing the sewing machines! To all of our followers: thank you, kindly, for reading and for believing in our mission. The Joseph School would not be the same without YOU! With your generous contribution, you can quite literally provide the clothes on the back of a student. We are deeply grateful for your support during this exciting Transition! It’s no secret that healthcare in Haiti is scarce. The average life expectancy is 63 years, 30% of the population is considered food insecure, and the infant mortality rate is 55 per every 1000 live births (as compared to 5.8 per 1000 in the United States). 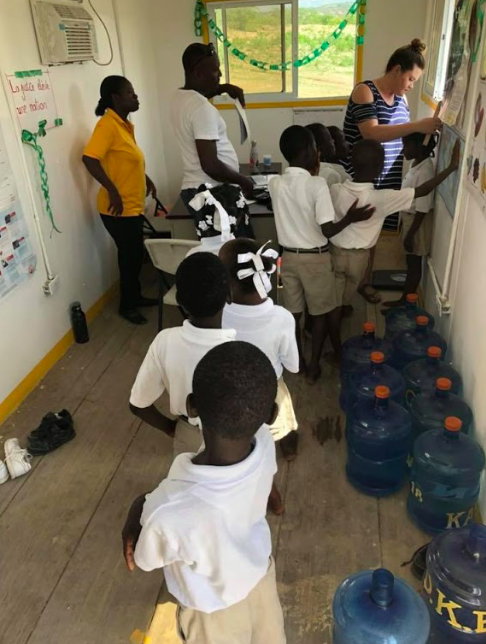 While unfortunately, some of Haiti’s debilitating conditions are untreatable on a large scale, many diseases are avoidable with regular check-ups and nutrition monitoring. We are blessed to have the incredible Lisa Hellmann, MSN/APRN/FNP-C travel frequently to The Joseph School to keep our kids healthy. She recently performed end-of-the-year check-ups on our students and we are glad to report some updates from the trip! 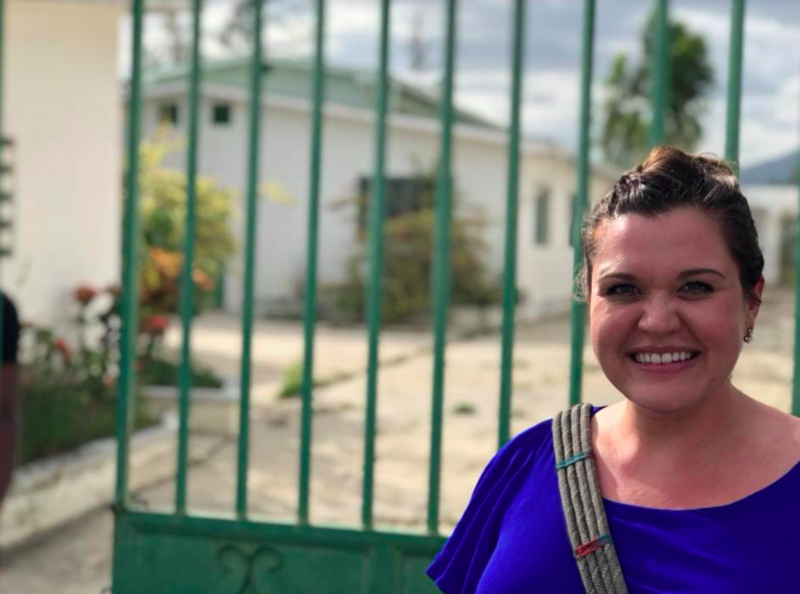 Thanks to Lisa and her dedication, the health of the students at The Joseph School continues to be superior to that of the other Haitian children in the Cabaret community. 28 students who are deemed at risk for summer malnutrition will be placed in our summer nutrition program, which Linda helped pioneer. This program ensures that students and their family units who may lose weight over the summer have sufficient access to healthy food. 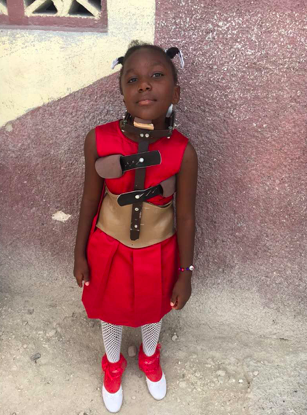 Kennylove Georges received her scoliosis brace in May 2018. She is being treated through Healing Hands for Haiti under the care of Dr. Pascal. Lisa continues to coordinate her plan of care alongside Dr. Pascal and orthopedic surgeon, Dr. Nau. Per Dr. Pascal, 6-9 months of bracing and biweekly physical therapy will determine whether surgical correction of the sternocleidomastoid muscle is needed. We cannot thank Lisa enough for all of the time and generosity she has poured into our school. Largely thanks to her, The Joseph School students receive the proper medical care to stay healthy. Thanks for providing hope through health, Lisa! Beep Beep, We have a School Bus! Are you ready for some BIG news? We are thrilled to announce that through the prayers and generosity of many people– particularly the Three Rivers Local School District in Cleves, Ohio– we purchased our very first school bus! Previously, we rented buses from Michael’s Orphanage when mission teams were in Haiti. Now, thanks to the Three Rivers Local School District, we have our very own bus, which their community generously stocked with school supplies. Today, more than ever, our students and staff in Haiti need a more dependable transportation option. Some of our students wake up at 5 a.m. to walk several miles to school, whereas others must rely on limited and unpredictable tap-tap drivers. This 72-passenger bus will provide a consistent and safer transportation option for our students, staff, and mission group participants. This project– shipping a school bus– has a lot of moving parts, literally and figuratively! We want to extend a special “Thank You” to Tim Wagner, Director of Transportation and Food Services for helping us fulfill our vision of obtaining this bus. We are also grateful for Ryan Bennett, who has started raising funds in Kansas. Meagan Rebler, who started a GoFundMe in Texas to raise both awareness and funds for this bus. She’s also traveled to TJS multiple times. We could not have gotten this far without them! However, we still have a ways to go. Presently, Lance Whitehurst, a local Ohio bus driver, is driving the bus to Riveria Beach, Florida! The bus should ship by this weekend. 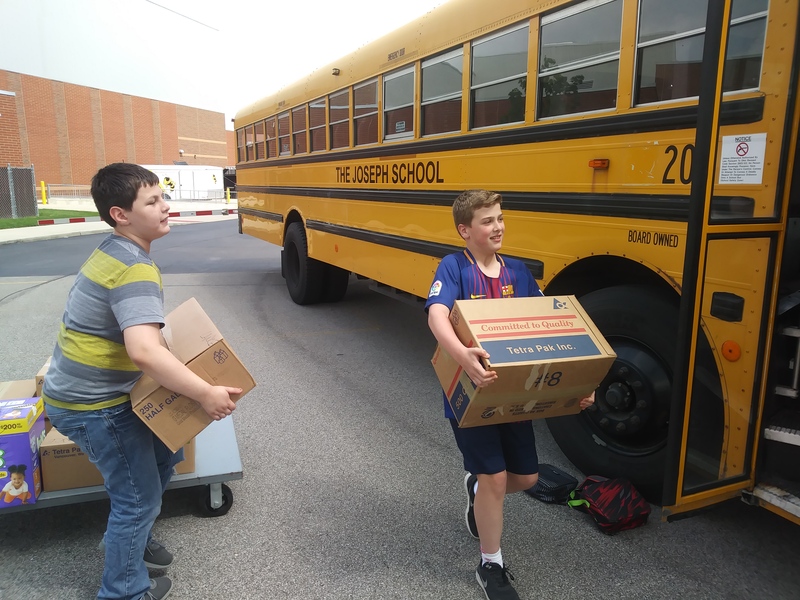 As you now know, we have the bus—and thanks to the school district, it’s packed full of supplies—so now we need help to ship it! Our goal is to raise $10,000 by June 22nd, but as our cause is so urgent, we hope that prayerfully, we can raise these funds by June 15th. When you donate, you can immediately make a difference in the lives of the children of The Joseph School. Through your kindness and generosity, we can advance in our progress to ship this bus. Every little bit helps. 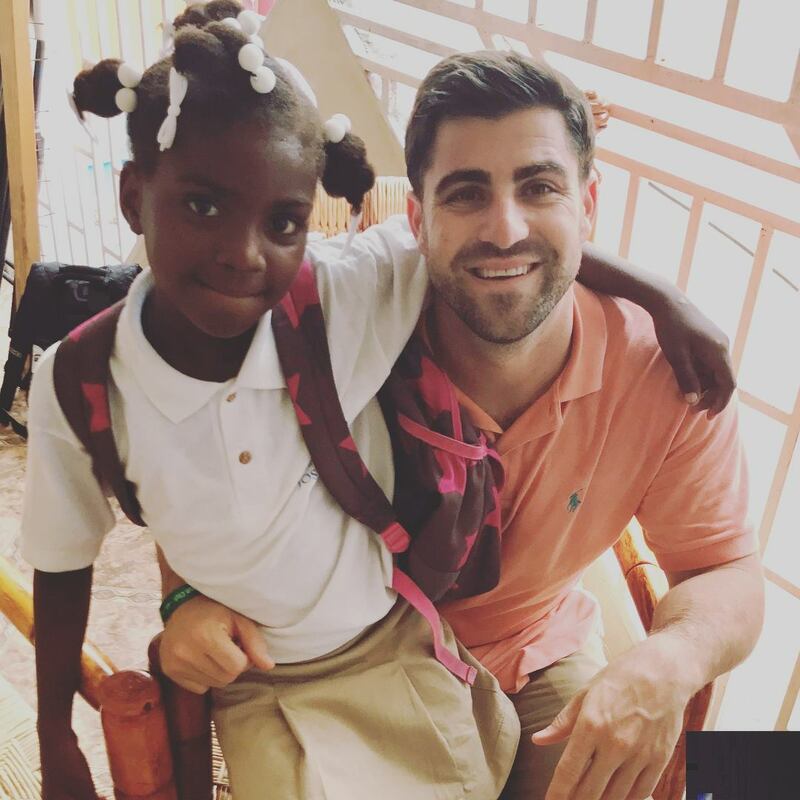 Ryan Bennett (left) on his first trip to Haiti in August 2017. At which he traveled many miles (by car and foot) to students homes who currently walk to school every day. 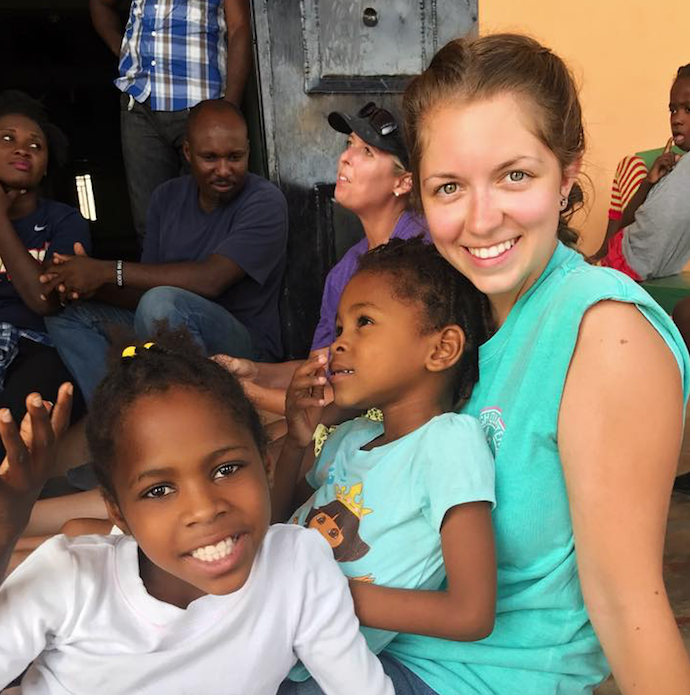 Meagan Rebler (right) during her last trip to Haiti. She started a GoFund me to raise a bus in late 2017 before we had plans ourself. She’ll be retuning to Haiti in three weeks with Houston Baptist University.